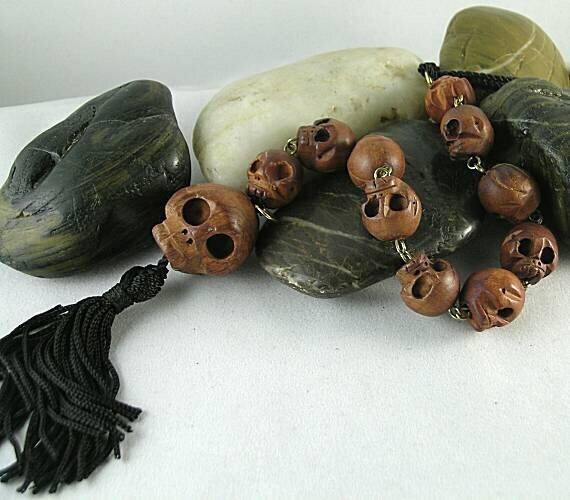 Unique Prayer Beads! The focal point of this paternoster is a huge carved wooden skull that is over an 1" high (28mm) that sets on top of a black tassel. 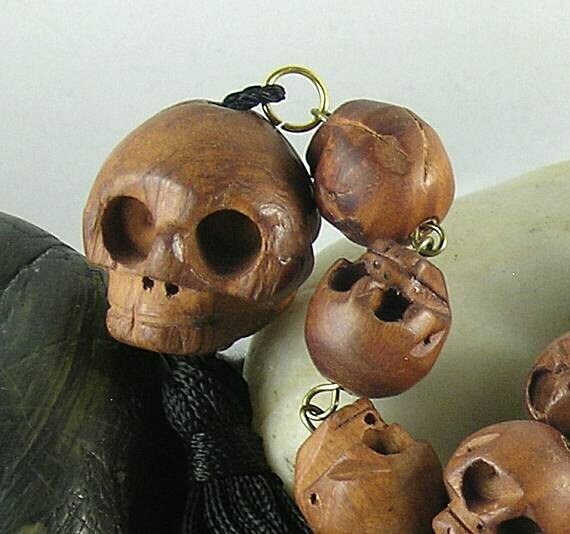 It is connected with wire links to ten more smaller skull beads (16mm) also made of carved wood. There is a small gold plated ring and a black hanging cord for attaching to a belt or pouch. It measures approx. 14" overall (excluding the hanging cord). 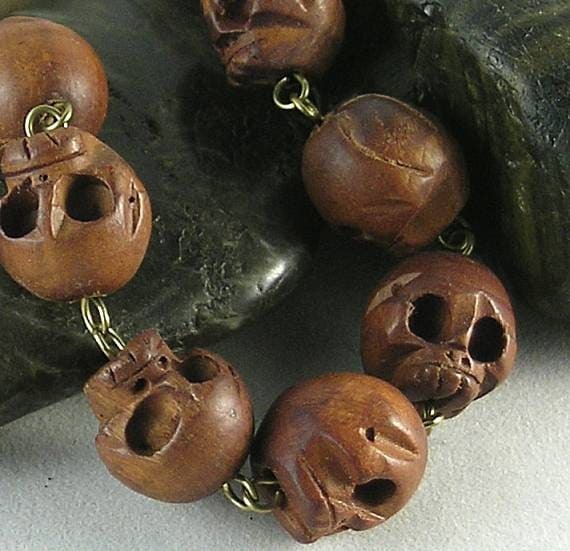 Memento Mori Jewelry, including rosaries, with its unflinching use of symbols of death and its purposeful message, "Remember you must die" was widely worn in Western Europe during the 16th century. A constant reminder that life is temporary and heaven should be the ultimate goal, its intention was to encourage virtuous living. 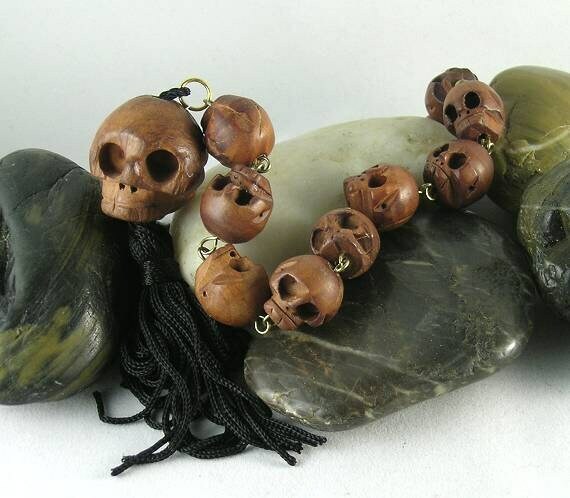 Tenners or Gebetskette Zehners (prayer chain with 10 beads) became popular in the 16th century. As the name implies, they were chaplets consisting of 10 beads. Sometimes another bead was added which was usually larger than the 10 beads and sometimes had bead caps and/or spacers separating it from the other beads. In addition to these beads there was a tassel, saint's metal, credo cross, crucifix or some kind of pendant. Often a number of these items were used in combination at the end of the prayer beads.